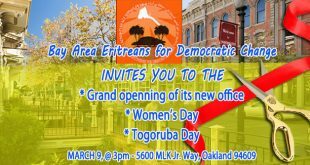 Finally the dream of the faithful Eritreans is approaching and it will come true. My happiness heightened when three opposition groups took a vital positive initiative and united. That is what an honest Eritrean wishes. That is what many were waiting for years, to join the struggle for freedom and justice. If we go back and review history, it is quite obvious that those who were united succeeded, and those who were fragmented, failed. History teaches great lessons that reveal the past and present it today to avoid repeating the mistakes tomorrow. The same is true for the Eritrean opposition groups. They must learn from the Era of Kwinat Hidhid during the Revolution era. They must understand and apply the wisdom of “unity is strength.” Eritrea is a nation rich in socio-cultural and religious diversity. In order to promote a peaceful and harmonious life for every citizen, we need a leader that takes into consideration the above mentioned values and norms. We don’t need a secular regime that suppresses culture and religion that leads to chaos and lawlessness. We are impatiently waiting for someone who embraces the diversity of the society and treats us fairly. However, the unity of solely three opposition groups doesn’t mean that the mission is completed. In fact there are many opposition groups that are lagging behind. 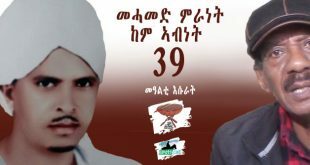 We, the young Eritreans who suffered from the atrocities of PFDJ are calling and begging all opposition groups to unite and reintegrate with the newly united group; opposition groups such as the Islamists, Kunama and Afar, please make a sacrifice for a stable nation-building and you can win the trust of many Eritrean youth. 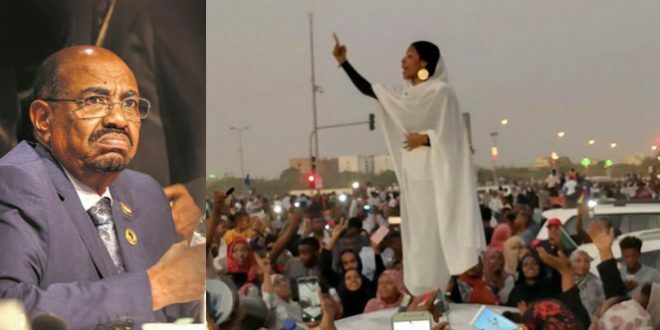 The majority of the young Eritrean generation that has detailed evidence regarding the PFDJ regime couldn’t decide in joining any opposition group due to the lack of a transparent and united group. If you ask some Eritreans about the existing opposition, they reply: we can not trust those guys because they are not united and they don’t reflect the benefit of a matured and wise Eritrean, so it is better not to join them. Therefore, please try to draw the attention of your young sons and daughters. If a particular ethnic group or a particular religious entity feels that the PFDJ is not just regarding a certain right, of course they have the freedom to struggle in a separate manner. But this doesn’t mean that they can not achieve their rights if they unite with another opposition group. It is time to form a coalition before Interpol arrests Isaias. But we have to be very careful and very selective about the formation of the leading members of opposition groups. Ages ago, our grandfathers said: arki sebar neka’e, the friend of the broken is the cracked. 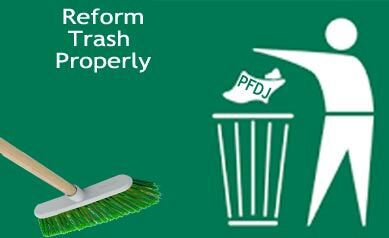 There are some opposition leaders who absconded the PFDJ regime when they failed to win handsome diplomatic portfolios from Isaias. Those individuals shouldn’t come to power for their selfish ambitions or personal interests. Indeed they kept quite for many years while Isaias tortured Eritreans and they fled when Isaias demoted them. Moreover, in order to resolve our past and present problems, we have to be transparent and accept different points of view from our patriotic writers and groups. I wonder when some writers accuses Ustaz Ali Salim as a regionalist, racist and Islamist writer. I wholeheartedly endorse the majority of his views. Considering that Awate.com is open for all of us without discrimination, why should it be closed for the articles of Ustaz Ali? Every Eritrean citizen have the right to say what he feels as long as it is based on truth. 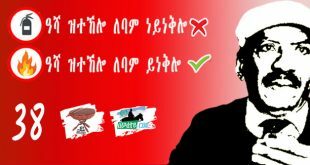 Let me ask some questions to those writers who kept condemning and chasing Ustaz Ali relentlessly because: he criticized the PFDJ for not giving priority to the native lowlanders to use their land and encourage them to invest and settle in the Gash Barka region; he said that Muslims and non-Tigrigna groups are suffering under the cruelty of the PFDJ. 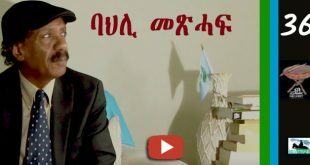 If a Jehovah witness or Pentecostal believer reveals PFDJ’s detention and an inhumane treatment of members of his faith, Ustaz Ali has the right to say, ‘my house is looted by somebody.’ But it doesn’t mean that he is regionalist because he didn’t mention another house that belongs to other groups that were similarly stolen. What is wrong with that? Is it fair to name those writers as regionalists or extremists? It is difficult to differentiate between the writers who are acting as a bottleneck on the journey towards freedom of expression and the PFDJ. It would be nice if those writers avoided their halowlow and brought their evidences to challenge Ustaz Ali. If they prove their point that Ali Salim is lying, we will fight him together. Ustaz Ali has become a headache to many writers because he tells the truth that is bitter to admit. I testify that the PFDJ leaders favor only one group; they distribute settlement land to some highlanders who had settled in Massawa for sometime, investment lands for persons who are not native inhabitants of The Gash-Barka Region. To the contrary, if some Eritrean from another Zoba applies for settlement and investment in Zoba Ma’ekel, his request is rejected automatically even if he has settled there for all his life; they applied the Desa system in all Zobas except in Zoba Ma’ekel in which only native Hamasien citizens are allowed to own land which they divided into two and selling part of the plot and with the proceeds, they built houses for themselves in the other half. Most of the time the buyers of the cheap land were from other Zobas and it went on for along time before the government stopped it and strictly prohibited anyone from selling Diesa land. This shows that the government is applying the land hegemony for its exploitative imperialism against other Eritreans. The Eritrean lowland is quite enough for all Eritreans if the intentions of Isaias were honest and fair. 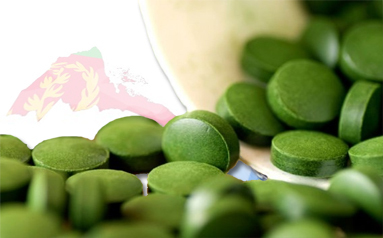 No one would object to providing opportunity for all Eritreans to invest in the lowlands; it promotes the economy of the nation in general and improves the life of native settlers by creating jobs and ensuring diverse co-existence among Eritreans. But, this idea becomes true if, and only if, the lowlanders were granted similar opportunity to invest and settle in the highlands. We didn’t forget the PFDJ’s unfavorable treatment of Eritrean lowlanders who fled to the Sudan during the war of liberation and from 1991 up to now. After Independence, the government encouraged Eritrean refugees who returned from Sudan by facilitating their travels to the Arabian Gulf. They exempted them from national service so that they can leave the country: what is the difference between an Eritrean Refugee from Sudan and an Eritrean Inside Eritrea. This was done systematically to encourage Eritrean refugees; the majority of whom are lowlanders to evacuate their land. 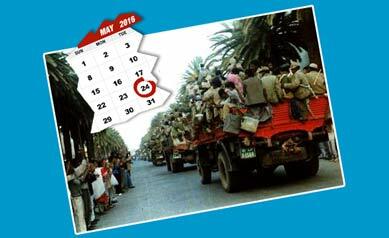 It was an act of evicting lowlanders from Eritrea . Ustaz Ali is presenting an important warning and a constructive alarm. His views would have been more beneficial if only he got attentive readers: we shouldn’t repeat the mistakes of the past. Currently we are noticing the flow of many intellectual writers, from the least B.A holders to university professor in Awate.com. 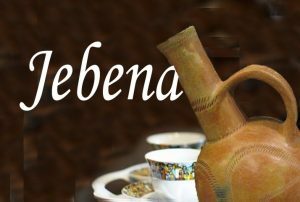 This well respected website is blossoming every second, hosting the entire Eritrean writers without segregating race, religion, concept and educational level. 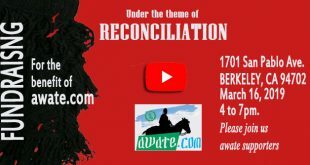 Many sane Eritreans appreciate the services that awate.com is providing and it has won the honor and appreciation by the elite. Awate is the home of the homeless and is taking the lead by enhancing democratic culture and that was not allowed to us in Nakfa Cadre School, “Nakfa school of social studies,” A school of hishukhshukh, which is intended to deceive Eritrean youth and indoctrinate them with the PFDJ ideology that time has left behind. 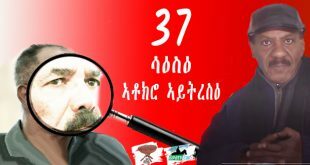 The message is obvious: secret is supposed to mean the crimes that were committed by Isaias and his team against Eritreans. Ahferom Tewolde indirectly informed us that if the G15 were to be presented to court, they would have exposed sensitive issues that would put Isayas at risk. 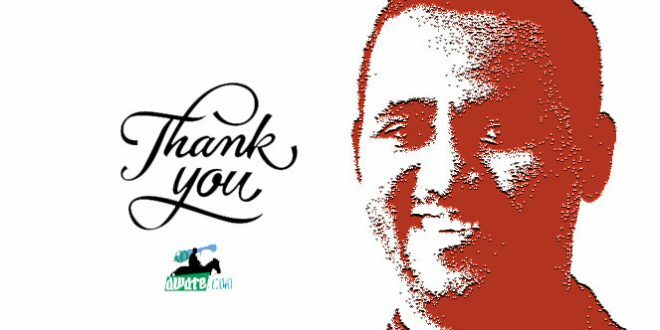 I applaud all dedicated Eritrean writers, Awate.com and all faithful Eritreans who are struggling for justice.